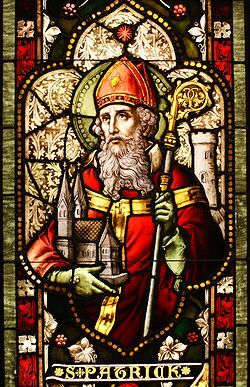 c387-460AD – Saint Patrick (Qatrikias) is born in Castell Nedd, Cymru, captured and enslaved by Irish invaders. 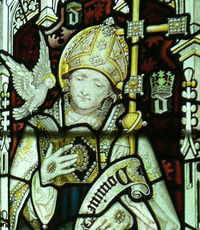 He escaped after six years and returned to his family in Cymru, became a priest and returned to Ireland as a bishop. His name in early Irish shows the difference between the Q Celtic (Gaelic) and the P Celtic (Brythonic). c500-589AD – Saint David is born in Pembrokeshire, becomes a priest, begins his mission of the conversion of the chieftains to Christianity, made bishop, and a saint. 632-633AD – Cadwallon vanquished the king of Northumbria and was killed the following year. c642-655AD – Cynddylan, son of Cyndrwyn, and his brothers stand against the Saxons at Lichfield. A few years later, he and all of his followed are murdered on ‘The Night of the Long Knifes’ in a treacherous attack. Marwnad Cynddylan and Canu Heledd are poems that have been set to mournful tunes. Hywel Dda codified the marriage laws in Cymru. 1039-1063AD – Gruffydd ap Llywelyn, arguably the most successful of the pre-Norman kings of Cymru who, by the end of his reign, had united the whole of the country from Gwynedd to Gwent. He was the spirit of rebellion that kept the Cymry from succumbing, like their Saxon neighbors in one blow, to the power of the Normans.